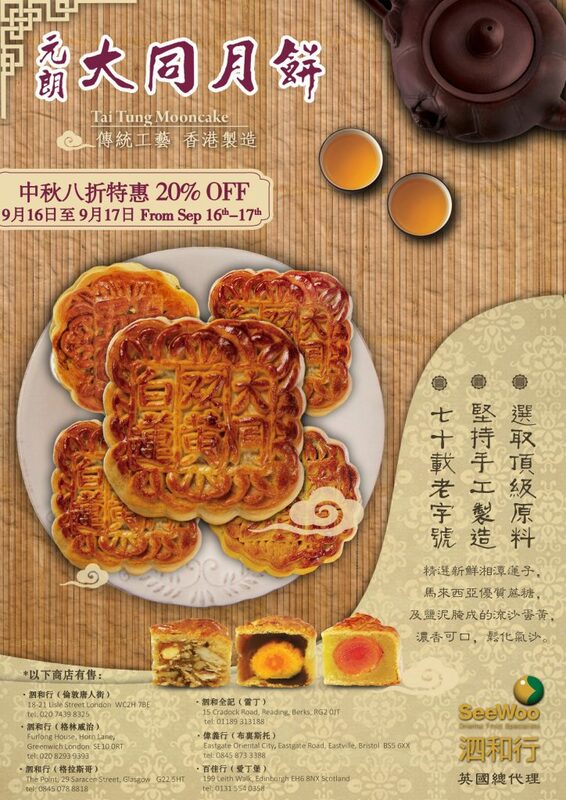 Get 20% off all Tai Tung Mooncakes in-store this weekend only! This offer is available in-store only, 16-17th September 2017, while stocks last. The discount applies to all flavours of Tai Tung Mooncakes and will be automatically applied at the till. We anticipate that this offer will be very popular. This is a good opportunity to buy your mooncakes, whether for gifting, or devouring yourself over the Mid Autumn Festival. We hope to see you in-store this weekend! Just thought you would like to know that my order arrived today and I am thrilled to bits with the packaging and contents, and nothing was damaged. For some time I have been looking for a company that can provide chinese, thai, indian sauces and accompaniments, etc and now I have found you!! Many thanks for your very efficient service - I will be re-ordering.